Many countries have similar exchangers. Usually, for smaller amounts you don't need to show any identification. ...and delete your payment alias after you have verified that your account was upgraded. 1. Login to your account and click on "Buy premium service" in the left menu, if your account already have expired you will be automatically redirected to the order page. 2. Select your premium time on the order page, select Credit card, click on [Next step], select your country and go to the checkout page. 3. After the payment is done, you will be redirected back to our activation page, enter your main Countermail-login email. 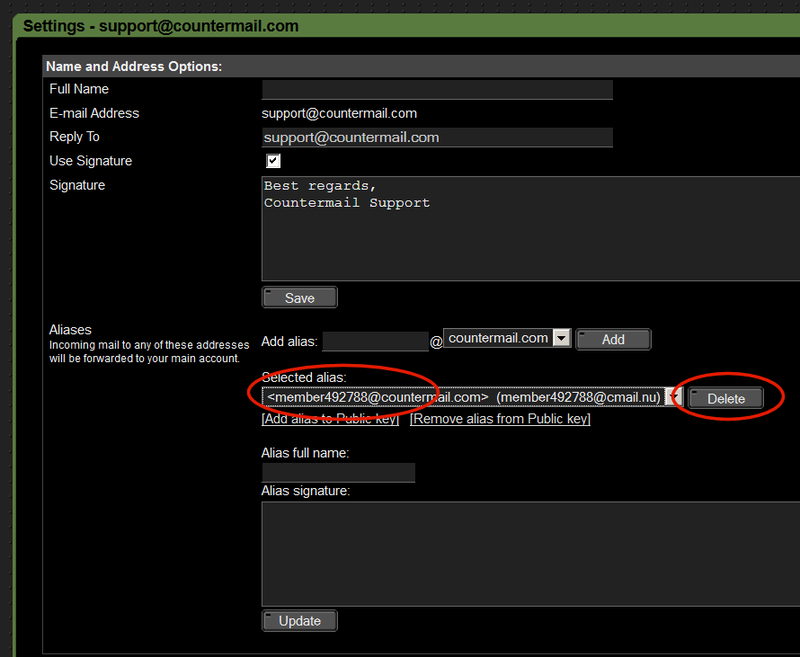 This is the only place where you should enter your main Countermail-login email. Click on [Complete order]. 4. If everything went ok, you should see a "Thanks for your order"- message. If you don't see this message, you should contact us by creating a support ticket. "Security settings and Account information", check that the Expire time is correct, if it's correct you can also delete the Order confirmation email. The next time you login, you will automatically get a new random memberXXXX-alias generated, you should keep the new member-alias for future payments. We only store payment info for 14 days, after this period there will be no link between your payment and the account you purchased, as long as you don't enter your main Countermail-account email on the credit card page.